Queen Tarzi's legacy - sister-hood magazine. A Fuuse production by Deeyah Khan. We have all seen them: black and white pictures of ‘liberated’ Afghan women in miniskirts walking through the streets of Kabul. They challenge stereotypical depictions of women’s oppression, and elicit a warm and nostalgic mirage of the old, ‘free’ Afghanistan. The western media might be familiar with these pictures, but for feminists in Afghanistan, one woman championed the battle for gender equality. 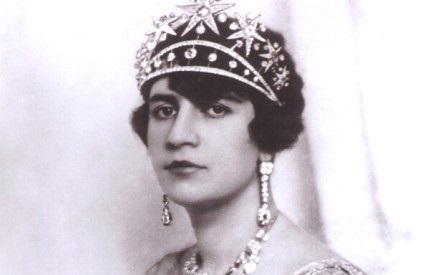 Queen Soraya Tarzi is regarded by many Afghan women as the quintessential embodiment of Afghanistan’s progressive golden age. She features upon the most important pages in Afghan history as the most prominent symbol of feminism, inspiring thousands of girls sixty years after her death. Soraya Tarzi was born on November 24 of 1899 in Damascus, Syria. She was the daughter of the exiled Afghan intellectual Sardar Mahmud Tarzi. Habibullah Khan, the King of Afghanistan, issued a general pardon, and many exiled families returned to Kabul. The Tarzi family was one of them. Soraya Tarzi met Habibullah Khan’s son Amanullah Khan and married him in 1913. Habibullah succeeded his father as King of Afghanistan in 1926. Soraya had studied in Syria and had received an honorary degree from Oxford University. She had liberal values; gender equality was a priority within her reform agenda, and so she accompanied the king in official visits and cabinet meetings, even travelling to conflict zones with him. During her official visits to Europe, she stunned many politicians with her intelligence and skills in marksmanship. Queen Soraya shone like a star. In an era in which the Mullahs had banned photography – claiming that if a person took a picture for their passport, then a death would follow – Soraya was often photographed in black and white, wearing western cocktail gowns, luxurious fur coats and oversized, flattering hats. Her fashion taste was characterised by an eclectic mixture of western and traditional styles which even inspires women three generations later. 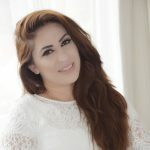 One is Manizha Nabizada, founder of the lashes empire QueenTarzi®, a brand used by many beauty bloggers, vloggers and make-up artists. ‘Queen Tarzi lashes represent royal, powerful and compassionate women with a mission. Just like Soraya,’ she explains. ‘Queen with a mission’ describes Soraya well. Her life wasn’t limited to the glamour and glitter of the Royal Palace. Progressive for her time, she spearheaded a turbulent feminist revolution. Described as a warrior princess, Soraya’s courage was featured in the illustrated cartoon book Rejected Princesses by Jason Porath. Alongside her role as Queen of Afghanistan, she was also Minister of Education in a period when women couldn’t vote in most parts of Europe. She worked to obtain women’s rights to vote, run for office and to participate in nation building. Due to her efforts, women were granted voting rights when Afghanistan implemented universal suffrage. 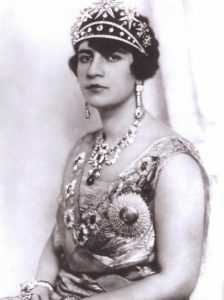 Queen Soraya also founded the first women’s hospital and girl’s school, and arranged for women to access higher education abroad. Not everyone appreciated the reforms she introduced. The religious right had serious concerns about the rapidity of Westernisation, and the catalysing role of the Queen in this process. Their main concerns were co-education and suffrage. When the Queen whipped off her veil, and many socialites followed her example, the opposition grew. Her bold attempts towards social reforms were considered radical and anti-Islamic by many religious clerics. She was accused of blasphemy. The kingdom was toppled by a coup. Short thereafter Soraya and her husband left the country for Italy. A hard journey is ahead, but a new generation of Sorayas have blossomed. They represent our hope to protect her legacy – and lead Afghanistan to a more prosperous future. I am a biomedical research analyst by profession, a woman rights activist and a writer. I write mostly about woman rights and national issues for the newspaper "8AM" Newspaper Afghanistan and "Freewomenwriters".